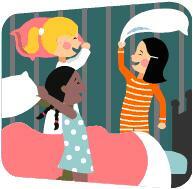 Our book club members decided to have a sleepover, which took place last Friday in the library. We all brought our favourite book, our duvet and pillow, and some food to share. After moving armchairs and tables around to feel home, our first fun activity was to model our books: walking on the catwalk not to model our clothes but our favourite book. To warm up, we simply walked nicely showing our book but then it became a dance about the story, it was beautiful and hilarious. After sharing a lot of nice food, the girls created a surprise for me. 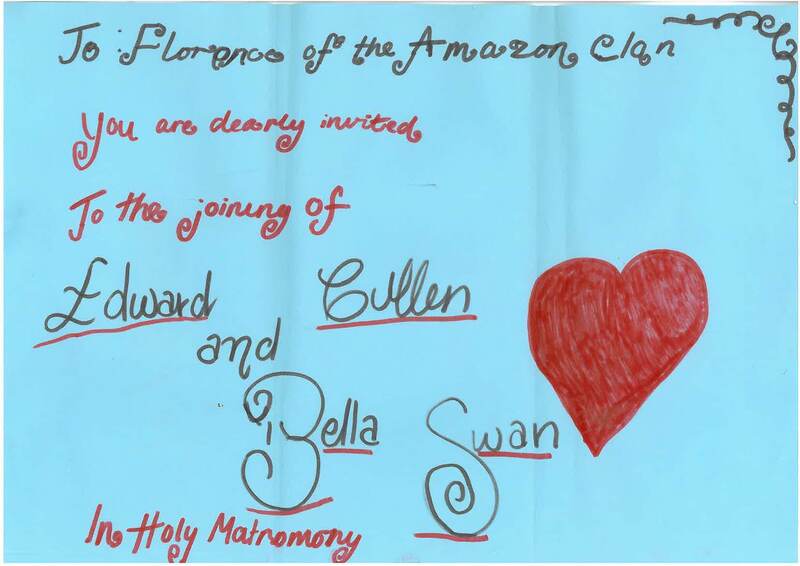 They worked hard and dug in the library office cupboards but I was not allowed to see, until I received an invitation to a play: “The joining of Edward Cullen and Bella Swan”. Bella’s hair was elaborate and glittery, Edward was so elegant, Alice and Rosalie’s dresses were stunning, all the participants both excelled and enjoyed it. The play expressed all the emotions we experienced in reading the wedding in the book. Awesome! Shall I reveal that after that, we went outside in the night, on the hill accross the road in pyjamas and ran and played very loudly? We even met a few students who definitely decided that book club girls ARE freaks indeed! It was then time to cuddle up in our sleeping bags and we talked books for hours, as you would imagine. Next morning after a frugal breakfast, we tidied all up -Thank you very much to the parents who helped too- and we promised to have another one! the sleepover was so fun!!! i ate heaps of delicious food. everyone had loads of fun and want to do it again. poor florence, she was kept awake half the night. it was a pity that we failed to do any reading. I hope we can do it again some time but it wont be the same without Sophie!! heaps of thanx to Florence for organising it! !